Please use your preferred methods of contact here. If you prefer e-mail contact, use only the Contact Us form below. 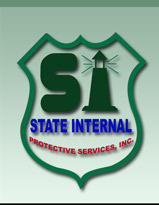 STATE INTERNAL PROTECTIVE SERVICES, INC.